Represents compassion, idealism, and creative expression. Also represents energy resonates with tolerance. symbolizes positive mindset and optimistic way of thinking. Our loved ones can make us feel happy when things get rough. that is going to take away all of the negativity from your life. we get depressed and often give in bad thoughts. Focus on good things and forget about everything that are making you said. and that kid of bond shouldn’t be broken by anything..
Compassion, idealism, and creative expression. 369 represents compassion, idealism, and creative expression. The energy the number 369 represents also resonates with tolerance and tends to be philanthropic. The 369 energy is an inspiration to others. It tends to be welcomed into social gatherings, especially those with fund-raising, humanitarian, or artistic agendas. It tends to be optimistic. The energy is sensitive to resonances of family and home. It is happy when a family-friendly environment is maintained where family members are free to communicate and create. The vibration of creative personal expression is a large part of the energy 369 represents. It is also a healing energy. It's picture of ideal includes creative solutions to problems that affect all or much of humankind. It's attracted to harmony, harmony is attracted to it, and what it puts focus on is encouraged to become more harmonious. To determine the energy the number 369 represents, the multi-digit number 369 is reduced to a single digit. The result is the number 9, a number of compassion and humanitarianism. However, the digits in the multi-digit number also have influence. This is where the creative self-expression comes from, and the home and family aspects. The graph further below illustrates the amount of the various influences related to 369. Meanings of the number 369 are interpretations of the energy the number represents in relation to its numerology chart position, or in relation to the situation or circumstances where the number occurs. Here are example interpretations of the number 369. If the number 369 is in the destiny position of the chart, the person is likely to have an ideal concept of what a human-friendly universe would be. The ideal is likely to include unhampered creative freedom, social interaction, and optimism. If the number 369 is in the personality position of the chart, the person tends to be concerned about others and their needs, yet be uncertain exactly how to help. Their focus tends to be on freedom of creative expression as a necessary aspect for the betterment of society. With the number 369 pertaining to something in a person's environment, interpret the situation as if it included an idea related to humanity, tolerance, creativity, fixed ideas, optimism, philanthropy, or inspiration. See the article Numerology Number Meanings for an introduction to the essence of the energies that numbers represent and deriving meanings for individual numbers depending on what the number pertains to or is associated with. 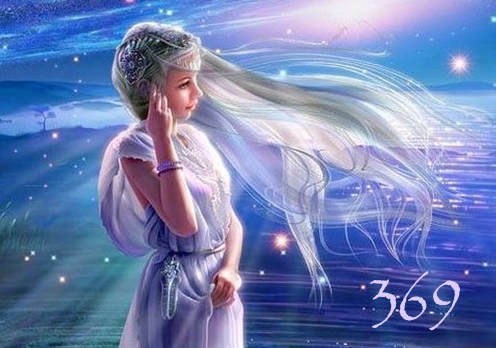 The deep down basic essence of the energy the numerology number 369 represents is focused on humanity. Other meanings of the number 369 must take that resonance into account. The digit the number is reduced to (the digit 9 in this case) always has more force or capacity than the digits of the number being reduced — even when the reduced number is identical to one or more digits of the multi-digit number. this blend resulting in an essence unique. The energies represented by the digits 3, 6, and 9 that compose the number 369 are highly compatible with each other. Tolerance is an aspect of all three. As is the idea of inclusion or close association with others of like mind. And harmony. Although the 3 energy has the most creativity, the 6 energy has the most family resonance, and the 9 energy is the most humanitarian, each of those aspects are present in all of them. Because 369 reduces to 9, the 369 energy is composed primarily of the 9 resonance — humanitarian, philanthropic, tolerant, and compassionate. The rest of the composition is of the 3 and 6 resonances. The energy represented by 369 is generous with its help for individuals and organizations intent on doing the world some good. It has a global consciousness. It perceives no significant value difference between itself, its neighbors, and those living in different cultures. There is little, if any, judgement of lifestyles, societal expectations, religious beliefs, and political practices — unless they oppose 369 energy's view of the ideal. Imagine you have generous charity for individuals and organizations dedicated to the benefit of mankind and the promotion of the arts. Compassion, creativity, harmony, and tolerance are innate. And you have an ideal vision of the world.